For the past five years, Movement Day, a leadership initiative from The New York City Leadership Center (The NYCLC), has convened over 6,500 leaders in order to serve the world’s largest cities more effectively by advancing high-level, city-changing collaborative partnerships. On October 29, 2015, leaders will once again gather at the New York Hilton Midtown to further advance Gospel Movements in cities across the globe. By promoting unity and fostering collaboration among a diverse spectrum of Christian leaders, the event will address some of today’s most urgent urban issues. With a unique approach compared to many conferences, attendees will not only hear from a diverse panel of leading experts in the morning plenary, but they will also have the opportunity to share best practices in various interactive learning tracks that will be held during the afternoon. The topics covered focus on current urban issues or population groups and are led by experts and practitioners in that field. While The NYCLC has always been intentional in reflecting the diversity of the world’s constituency, this year’s event underscores even further its intent on bridging the spiritual, economic and racial divides in our cities as well as the role of Millennials in accomplishing that task. Five new tracks are being conducted this year that particularly address the matter of racial reconciliation, replicating Gospel Movements in other major cities and maximizing the impact that the kingdom of God can have on our cities. Racial harmony remains one of the most challenging issues for church and marketplace leaders in the 21st century. The complexities of race, class, and culture often lead to superficial, short-term, programmatic solutions rather than transformational change. This session will offer practical tools and recommendations to enable leaders, both in church and the marketplace, to use their influence to serve as reconcilers. Old forms of evangelism can create obstacles to the Gospel. An increasing number of leaders have seen the need to bring good and effective evangelism tools and motivation to citywide Gospel Movements. This track is designed to develop Kingdom citizens who are skilled in the theology and practice of winsomely sharing the Gospel and grounding others in their faith and to encourage the pursuit of evangelism and personal discipleship along with addressing social well-being issues. Engage or consume? In this track, college students will wrestle with the perception challenge of viewing the city as a place to consume or a place to engage. This track is more than preparing for post-college life. Rather, track participants will explore how to weave their college experience together now, with gospel engagement in a city near campus. The goal is a lifetime of engaging cities for Kingdom impact. Bringing leadership development opportunities to a city is vital in raising the effectiveness of thousands of Christian leaders to the level of a citywide movement. But where do you start? This track will look at New York City as a case study, to see how the city hosts large scale inspirational leadership training (The Global Leadership Summit at 13 Host Sites) and small scale practical leadership training (The Leadership Fellows Program) benefitting thousands of leaders each year. New York has created pathways of first-class training opportunities for leaders – while also making them logistically and financially accessible. For a complete description of all of this year’s interactive learning tracks, go to Track Overview. In chapter four of The Jesus Experience you lay out three cornerstones that changed your life. Can you briefly touch on them and how they impacted your life? First up was Romans 8:28. We throw that verse around like a Frisbee, but what if it really was true? What if all things did work together for the good to those how love Him? Not some things, not most things, but ALL things. Next came James 1:2-4. “Count it all joy when you face trials . . . knowing that they will make you whole and mature not lacking in anything.” Again, there’s that superlative — not some joy, not most joy, but ALL joy. (And James had the gall to write this when Christians were being tortured and their children set on fire as human torches). Finally there was 1 Thess. 5:16-18, a real killer. “Rejoice always . . . in everything give thanks for this is God’s will for you in Christ Jesus.” Rejoice when? ALWAYS. In how many things do we give thanks? EVERYTHING. Door A: God is a liar. Or Door B: God is faithful. I chose Door B and that’s made all the difference in the world. You shared many stories of being abroad working on films and how other cultures experience more persecution for their faith. Which experience impacted you the most? Of all the characters in the Bible, you have chosen Balaam’s donkey as your role model. How does a donkey encourage/inspire you? If God can use a donkey to accomplish His purposes, He can use an unqualified, sinful, failure like myself. It has very little to do with my skills and everything to do with my trust and willingness. Bill Myers is an award winning author and filmmaker, whose work in Christian media has impacted millions across the world. Through a casual, friendly tone and humor peppered throughout, The Jesus Experience is an enjoyable roadmap to a deeper relationship with God through freedom found in Christ. Myers has created the perfect crossroad between approachable and attainable that all believers can appreciate. Prayer frequently receives positive medical and media exposure for its benefit to the human soul. From lowering blood pressure to aiding in recovery from surgery, prayer is recognized as a valuable practice even in the secular world. Dr. Mac Pier was instrumental in the formation of the New York City united prayer movement, Concerts of Prayer Greater New York in 1988, and is the current founder of The New York City Leadership Center and their annual Movement Day congress. He has witnessed first-hand what prayer can do for the individual, as well as for cities. Pier’s mission is to see the great global cities of the world transformed by the Gospel of Christ, and he believes that prayer is a fundamental pre-requisite if that mission is to be realized. 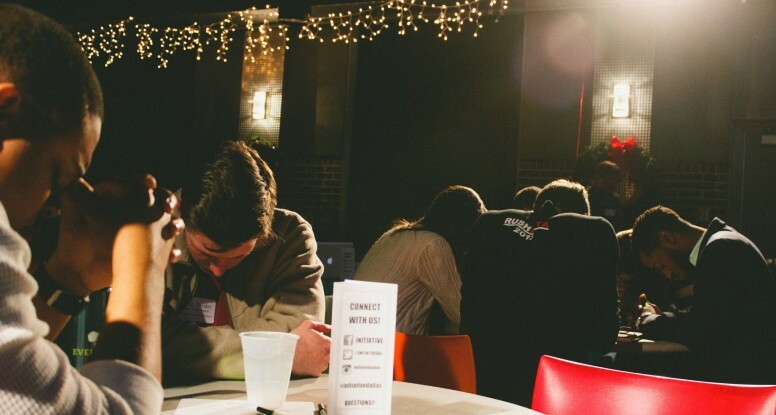 In a recent article on the blog Collaborations, Pier reflects on a few key events of the past year that all point to the possibilities that exist when we pray. He issues a challenge to Christian leaders in cities everywhere to pursue God’s “imaginably more” through prayer. “This past September, I had the opportunity to witness the power of prayer in a Pentecostal Church in Gothenburg, Sweden. Much of the country is greatly under churched. Yet, in this one congregation, some 450 Iranians have been baptized in the past two years. This is a great example of God rearranging people in the world to accomplish a greater purpose. More Muslims have converted to Christianity in the past 15 years than in the past 1500 years combined. Christians have been praying. In watching the emerging interest from diverse cities around the world in Movement Day we are witnessing many “immeasurably more” moments unfold. These moments are the results of a twenty-five year old concert of united prayer (Concerts of Prayer) in New York City. •	In Columbus, Ohio, more than 1000 leaders gathered to pray on a Sunday night this past September. Being evenly represented by African-Americans and Anglos, it was a great sign of hope for a globally influential city with a world-class university, state capital, and thriving business community. •	Early in 2015, more than three hundred pastors and leaders gathered for the 24th annual Pastor’s Prayer Summit of Greater New York. •	February 1, 2015 will mark the 20th anniversary of The Lord’s Watch – a daily prayer vigil that has knit churches together for Greater New York. •	In Dallas, TX, A Prayed 4 City, was launched in January 2013. One year later over 1400 leaders gathered for the first Movement Day Greater Dallas event, described by many as the most diverse gathering of its type in memory. God’s greatest passion for our cities is to see His people come together in visible unity. The most effective way to do this is to pray together. Prayer accelerates trust geometrically and more quickly than any other initiative in a city. It grounds us in a true sense of proportion to who God is and who we are. You can read more about the leadership initiatives of The New York City Leadership Center by visiting www.nycleadership.com as well as by subscribing to their blog Collaborations. //ALPHA:: Why And How Should I Pray? More than 23 million people around the world have experienced Alpha. It is one of the best tools available for people to explore their faith and for people to share their faith. The film series is designed to take the weight off your shoulders and allow you to create the atmosphere, invite friends, and be fully present during each session. I like to think back to the really ridiculous stickers that said, “F.R.O.G. (Fully Rely on God)”. I genuinely thought they were so cool, but I also like frogs. So, honestly, I am not sure if I really grasped the phrase, or just enjoyed frog stickers. Now, I am in college. I have tattoos representing Jesus and we just love crosses on jewelry and t-shirts these days. I question a lot if I really rely on God as much as I present myself to. We can post millions of pictures of us having a quiet time on Instagram, but until we are truly connecting with Christ, it is useless. I am not sure if we grasp the idea of fully relying on God or if we just like the idea of it all. Uh, ouch. That hit me in the face. Prayer is our constant communication with God. I text my friends more than I talk to God, and it’s easier and faster to just talk with God. So, it’s not like it is inconvenient. I am just wearing God as a cool sticker on my arm. We need to stop pretending our belief in Christ is an accessory. We have the opportunity to be in constant contact with our father, creator, God. He is all powerful and all knowing. So, why is it that I am googling, “great jobs for a person with a bachelors in psychology” instead of praying and having God direct me? Why is it that when I see a world that needs Jesus I don’t go to Him first? God is our fuel. He is what keeps us going. He is the solution to the world of hurt. He is the one who will bring change. Being prayerful is living moment to moment in full dependence on the Lord. Let’s do this more. He will fulfill through us, but first, we must remember that is the only way to fulfill. Be silent. Be prayerful, continually.